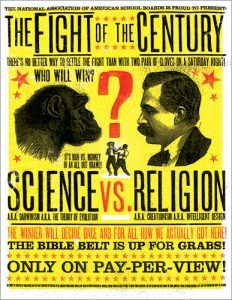 Victorian age was an interesting time when old religious beliefs started getting questioned due to progress made in science and technology. Let’s look at different aspects of the belief system and how and why those started to change. During the Victorian period, the people of England were very religious. There were many who regularly visited the church or went to chapel on Sunday. 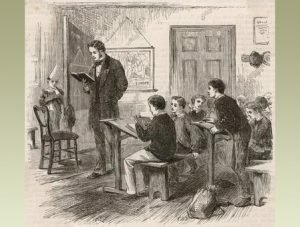 The Victorians belonging to the different strata of the society read the Bible very often. People were not only very religious but also were god fearing. Despite all this, the Victorian period suffered from a time when Christianity was questioned. It was towards the end of the Victorian era when the foundations of the well-organized religion that people followed in an extremely disciplined manner received a severe blow. Why did Victorian era beliefs start changing? The changes brought about by the industrial revolution and the emergence of new scientific ideologies played a crucial role in challenging the old religious beliefs and superstitions which had a deep impact on the lives of the people for many years. One of the reasons that attributed to the upset in religious beliefs was the fact that owing to the industrial development in the country, the number of people who pursued education increased. Also, the rise of industries provided for job opportunities for many people who left their agricultural job and came to cities for work. With the advent of technology, communication became easier and even travelling was no longer an uphill task. These developments provided material comfort to the people who slowly drifted away from religion and spirituality. All these changes had a deep impact on the society as a whole. The Victorians before the industrialization era did not even know that any life existed beyond their farming occupation or as a matter of fact outside their small hamlets. People had now starting prioritizing their work and wanted to be free from the kind of lifestyle they had in small counties and ventured out to different cities in lead a better life. After the industrial growth, there were hardly any people left who wanted to become priests or ministers as most chose to do business and scientific work. It was during this period that the Church lost its authority and power over the people because of the new industrial and scientific developments. Scientific growth in England during the Victorian period was a major reason why questions were raised against the religious ideologies. One person responsible for shaking the religious beliefs was Charles Darwin, the Victorian era Naturalist. Darwin in his book The Origin of the Species had propounded the theory that man had evolved just like any other species and was not a separate creature as was a common belief. Darwin further said that man had evolved through the process of natural selection, which was in response to the environment around him and his pursuit for pleasure. This very argument put forth by Darwin shocked many as it challenged the very foundations of their old beliefs which had been passed to them through generations. This expedition of Darwin resulted in shifting of the focus of an ordinary person from religion to more basic things. Charles Darwin’s book made people change their perception towards religion. It was by virtue of this scientific progress that people were gradually withdrawing from the traditional religious ideologies. However, despite religion taking a back-seat during the Victorian time, it was also a period when some faithful ministers, missionaries, theologians and authors who kept the Christian truths alive. There were other believers of religion who dedicated their lives in travelling from one country to another and spread their religious beliefs. Some authors using their writing as a tool kept the religion alive. You can also read more about Victorian era religion and morality and also about Victorian beliefs in the supernatural.